For the Very Important Baby (VIB) in your life. You want to give moms and dads thoughtful, practical gifts they'll be grateful to have as their baby grows. But finding the perfect baby present can be intimidating, especially if you don't have a shower registry to serve as your guide. We're here for you! 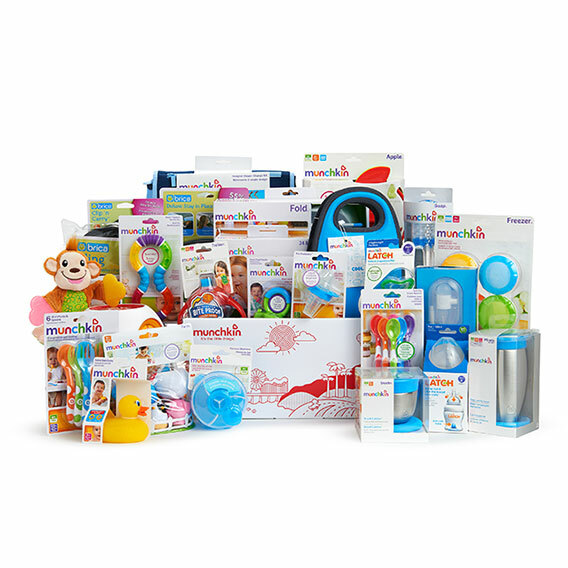 The Munchkin VIB Gift Basket is a well-edited, curated collection of Munchkin must-haves to make life easier for both seasoned and first time parents. It includes 27 Munchkin favorites bundled together to offer $220 worth of nursery essentials and newborn gifts at a great value. A wonderfully useful bundle for the sweet bundle of joy!